Maruti Suzuki is soon going to introduce an all-new 1.5-litre diesel engine across its model line-up for India. The launch pad for this in-house developed diesel engine is going to be the recently facelifted Ciaz mid-size sedan. Bookings for the same have already commenced across Maruti Suzuki’s Nexa dealership outlets across the country. The new in-house developed 1.5-litre diesel engine will is BS-Vi complaint. 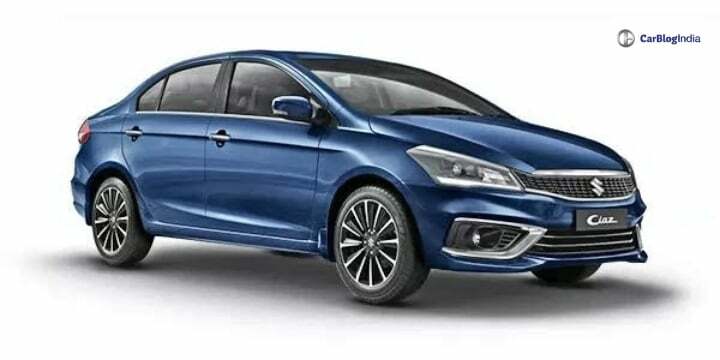 However, upon its initial introduction, it will retail in BS-IV guise alongside the 1.3-litre engine which currently does its duty on the Ciaz and other Maruti Suzuki models in India. Closer to the deadline, this new engine will replace the 1.3-litre unit and henceforth retail in a BS-VI guise. This new 1.5-litre diesel engine is a 4-cylinder unit and has been developed in-house by Maruti Suzuki. It was speculated to launch in India last year but the plans had to be postponed since Maruti was not okay with the NVH levels of this motor. Though not confirmed, it is to be believed that this new 1.5-litre diesel engine which churns out 95 BHP of power along with 220 Nm of peak torque. It will be mated to a 6-speed manual transmission.